State Rep. Rich Collins speaks with constituents. Last year, as part of an omnibus plan to close a state budget shortfall exceeding $360 million, lawmakers agreed to cut funding to grants-in-aid by 20 percent. The program provides state assistance to hundreds of non-profit organizations, including senior centers, youth clubs and volunteer fire departments. This year, with state revenues experiencing a substantial surplus, Collins has joined with more than a dozen of his colleagues asking for full restoration of the $8.64 million removed last year. A finance crunch impacting Meals on Wheels, a program that provides prepared food to homebound seniors, was also examined. In the current fiscal year, the Department of Health & Social Services (DHSS) is providing $6.8 million for the initiative. According to DHSS Secretary Dr. Kara Odom Walker, the agency is only budgeting $6 million for those services in the new fiscal year that begins July 1. The decline is due to the loss of federal funds. Additional federal money that could eliminate the gap may be coming to Delaware via the Older Americans Act Title III, but Odom Walker said her agency does not yet have a confirmation on the amount it is expected to receive. That uncertainty has created some anxiousness among those serving Meals on Wheels’ recipients. House Bill 110 also generated intense dialogue at the coffee meeting. The measure seeks to make Delaware the ninth state to legalize recreational marijuana. Speaking at the event, advocates for loosening Delaware’s marijuana restrictions cited problems with the state’s current medical-marijuana law. Expense, quality and availability were among the criticisms of the program, which has still not fully been implemented seven years after the law’s enactment. The Coffee with Rich meetings are held in various locations throughout the 41st District at 8 a.m. on the third Wednesday of each month. They are intended to provide residents with a convenient and predictable way to meet and speak with their state representative, Collins said. 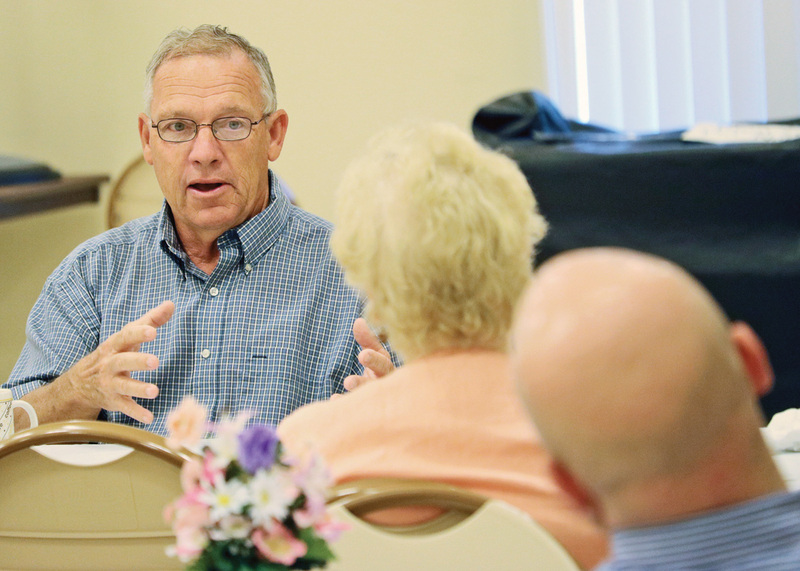 The Indian River Senior Center will again host the meeting in June.